Ironman Racine 70.3 was the race that started it all for me way back in 2006. Back then Ironman Racine was called the Spirit of Racine and I can still remember vividly how inept I was at triathlon on that day. I can remember trying to put on wet socks and sitting down in transition. I can remember how fast the winner - David Thompson - looked on his bike as I headed out as he headed in. And I can remember how my legs felt like jello as I started the half marathon on a warm and cloudless Racine day. Fast forward to today and I think about just how far I have come. No, it was instantaneous success like some athletes seem to have. Over the past numerous years I have been a true student of the sport, grinding away day-after-day as I make the tiniest of gains. I have made tremendous sacrifices along the way, but have also met some wonderful people. Needless to say it has been a great journey, but one that is far for complete. But before I go on I wanted to delve into a topic I have been meaning to write about and that has to do with "race" purpose. Every time I toe the line I toe it with purpose. Unlike many athletes, I am not necessary out there to win the race, set a PR, or even to finish. In fact, I think too often, people lose sight of their real goals and why they got into the sport in the first place. For me it comes back to a common problem that exists in American culture - the need for instant gratification. Personally I like to the think of myself as someone who invests for the long-term, but I also disagree with people who take it to the infinitum. What is long-term and short-term is different for different people, and where people fall in the spectrum is really not important - it is all personal choice. To further paint a picture of my personality I will use my choice of bike for group rides. It is a 50lb bike, with some of the beefiest prototype Powercranks you have ever seen, with rear baskets, and rack, 42mm bullet proof tires and thorn proof tubes, and rims that would stand up to downhill mountain biking. Needless to say it puts me at huge disadvantage on group rides, and especially so in the attacks. But I am not out there to "win" these groups rides. I am not in search of the fastest equipment out there to make these group rides as easy possible. No, I am out there so I can work at being the best cyclist I can be. And I work at being the best cyclist so I can run as close to my potential as possible, and this is all so I can be the best triathlete I can possibly be, but no, not every day is a race. Today was definitely not a race for me. Sure there was a finisher's medal and results that are tabulated. And this is not to take away from anybody's performance out there. Also, this isn't some sort of explanation or excuse. It is simply a point in time where I thought it would be appropriate to explain a little bit more about me and what I am working towards. I know there are all sort of readers to the blog and I get all sorts of feedback from you. I know everyone has different backgrounds and some people are not yet participants of the sport so it may be impossible to explain it without being exceedingly verbose but less I try. Simply put, I am out there to be the best triathlete I can possibly be. I am out there to push the boundaries of how far I think I can take my own body. Along the way, if that happens to be a world champion than so be it, but I am not there, not even close, and I may never be. I do have an immediate goal and that is to win an Ironman. I know a lot of that comes down to the right race, with the right field, on the right day, but it is a realistic and achievable goal. 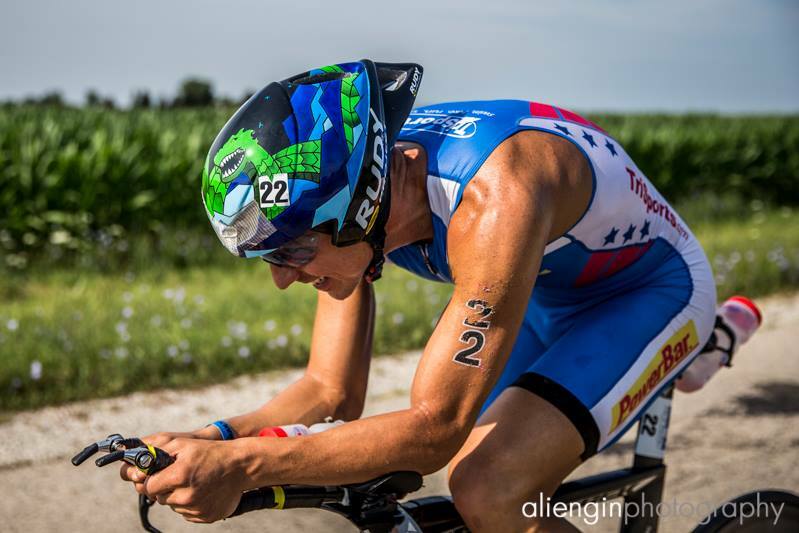 Ironman Racine 70.3 fits into that plan of winning an Ironman. On paper with results it might not be easy to see how. And I would by lying if I had a set of blueprints to exactly how the day would go. I don't, and although I believe in having a plan, I also believe that the enemy of good is perfect. 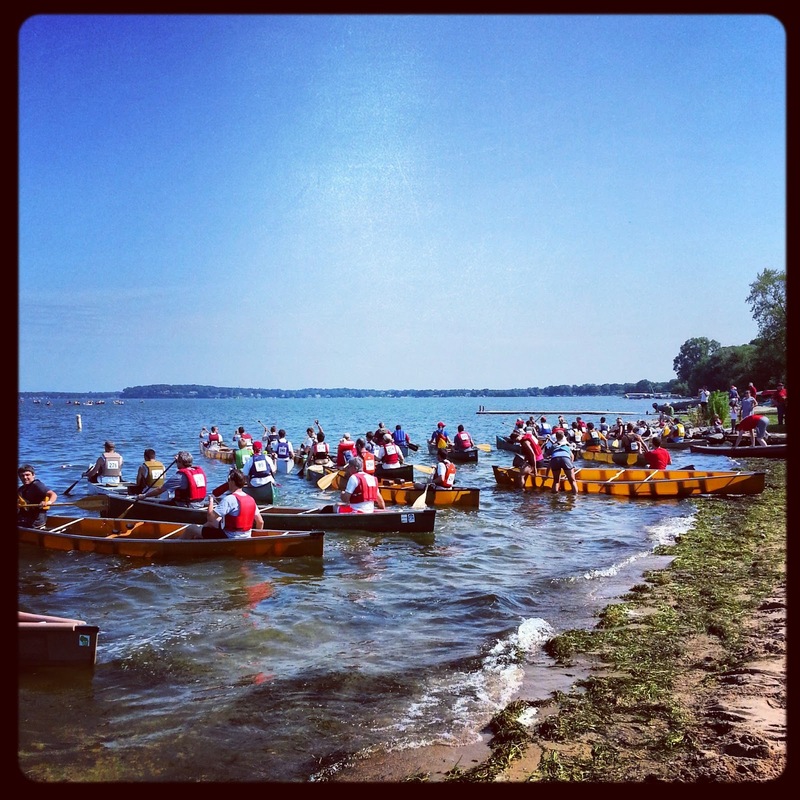 So I went to Racine, WI because it is sort of like a hometown race for me. It is close and gives me experience without expensive travel and downtime away from my training base. And there are many more benefits to list but the list is endless and I won't bore you with any more. As for race week, well the lead up to the race was difficult. After my double last weekend I laid on the accelerator all the way up to Thursday night doing V02 max intervals in the arb. The high temps, with high humidity, and running in dew points above 70 just added to the difficulty. I was absolutely torched on Friday and Saturday, but that was quite alright, and expected. 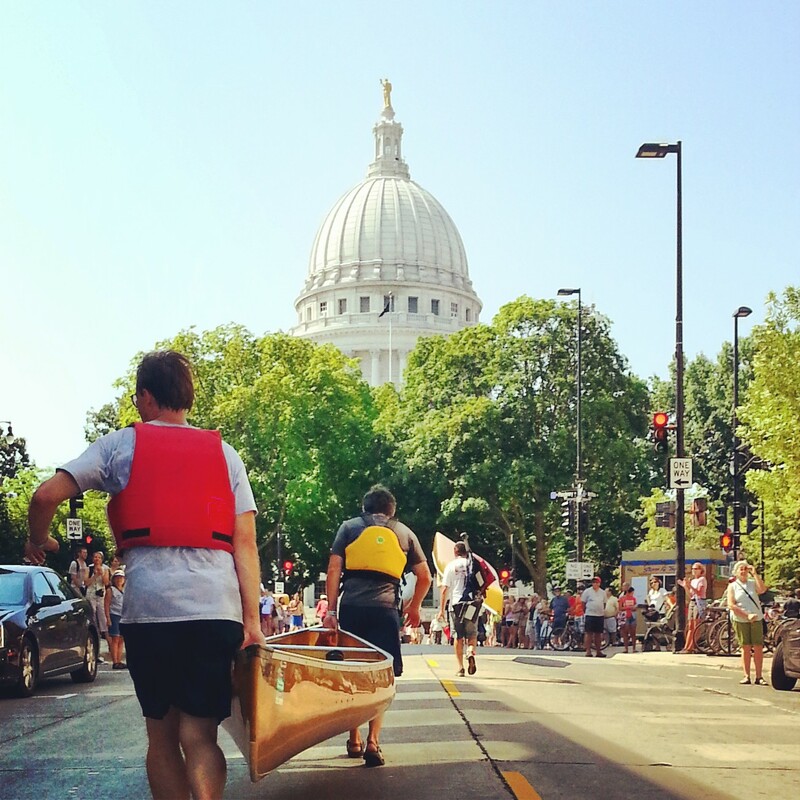 I did get chance to get the race juices flowing a bit on Saturday by watching my brother-in-law race in the Paddle and Portage in Madison, WI, but needless to say I wasn't really sure how I would feel on race morning. As I wrote last week this was a low risk, almost no reward race, but the loose plan was to swim hard, bike hard, and cruise the run. So race morning came and I felt ok. I was a little tight which is kind of weird because usually I wake up pretty loose regardless of how much sleep I get. After starting the swim I quickly realized the arms were still torched so there would be no hard swim. Normally, I do ok in chop, and this race had plenty of it, but it also requires a high-turnover which I seemingly didn't have today. Onto the bike and I was planning on doing a nice 20 minute warm up before hitting the gas for a good hour, but the legs felt absolutely awful. Watts were terrible, like below IM, and by mile 2, yes mile 2, I could already feel a burn in my quads. I decided to sit in for a bit and let someone else dictate the pace as I fell into base training watts. I thought at 30 minutes in that maybe I would do a hard interval to the next competitor, recover, and repeat. This would keep the intervals shorter, but harder, but in the end I decided just to keep it easy for a bit longer. Then at some point I found myself with a group of 4-5 and fellow pro Ryan Rau was leading the charge. After a nice pull, he looked back and was looking for help so I moved to the front and that was it. I was planning only pulling for 5 minutes, but the boys were gone by 5 minutes so I made it 10. Then boys dangling in front made it 15 and more boys in front made it 20 and I kept advancing until I caught up to a bonking Olympian Brad Kahlefeldt and Brandon Barrett. This was after 40 minutes of hammering and my general rule is when you hammer and gobble up Olympians that you ease up. It was at mile 48 this happened and I figured it would be a good time to ease off the pace, but the pace was awful and I quickly grew tired of it so I put in another solid effort heading into town. Head Down - Watts Up - Thanks Ali!! Onto the run and it was going to be run a mile, stretching routine, and repeat. That was going pretty well until Angela Neath caught me and she was completely gassing it as she was running for her life and the win. I always admire people who can dig so deep and Angela sounded like she could collapse at any second. Simply out of respect for her honest effort I went with her stride-for-stride. I was reminded tonight by a friend that it wasn't the initial plan I set and it is true that I didn't stick to that original plan, but I love to watch winners and how they react. I learned a lot from Angela in the process and so I consider it to be a worthwhile deviation. And although the 6:15 mile pace was a little faster than I wanted to do the last 4.5 miles in, I'm sure Angela would say I ran well within my limits at that point. In the end I had great time at Racine and I got a nice little block in on the bike. Although it may not seem like much, knowing what watts is required to break clean and free of a group is important. This is especially important on a flat course like Racine where it is notoriously hard to drop weaker riders. Although my 40min power effort was 321w (5 feet 8 inches, 155 lbs), I will not say what 5 min power was required to create that initial gap, but I will thank my 50 pound commuter for helping to give me the power to make it. Considering the whole ride was a measly 271w I think that should give an idea of just how weak the ride was when I wasn't pushing. Lastly I also wanted to thank a couple of people. I wanted to thank AJ Baucco and Daniel Bretscher for both loaning me helmets for the race - I left mine in Madison, WI in a flight of panic to make the Pro meeting in time. I wanted to thank Cole Braun, race director of the Pewaukee triathlon for meeting me in transition with my 2XU wetsuit that I left at his race the week prior. I wanted to thank my Aunt Kathie for the great homestay. And Ali Engin for his photography.